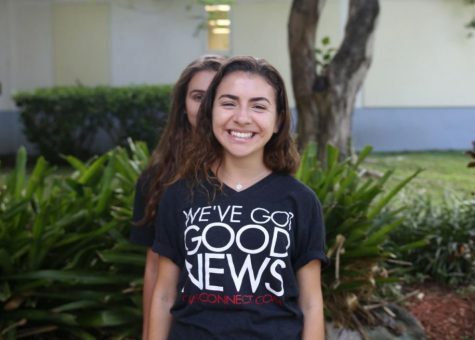 Natalia Rodriguez is currently a senior in the International Baccalaureate (IB) program here at Gables, and is excited to continue editing for CavsConnect this year. As a person who loves to get involved, she is a member of six clubs including Future Business Leaders of America (FBLA) and the French Honor Society, on which she holds board positions. However, her involvement at Gables is not only academic: she is the captain of the cross country team and is also on the track and field team. During her free time, she can be found running, baking, spending time with friends, or exploring new restaurants. Her goal for the year is maintaining a happy and healthy lactose intolerant lifestyle. In the future, she sees herself pursuing spiritual fulfillment as a Cambodian monk, but at the moment the only thing that she is certain about doing in the future is staying alive. She likes piña coladas and going out in the rain, as well as misquoting 70's songs. Rodriguez is outgoing and enjoys any chance to make new friends. Rodriguez also loves traveling, listening to music, laughing, and making others laugh. Excited for the new year, she is ready for whatever may come her way. She is also a granola, grits and bagel enthusiast.